Last year's October Halloween OTR marathon featured a total of eight horror stories--one every night the week running up to October 31st (a double episode ran the first night, featuring a Karloff and a Lovecraft). For those not with us last year you can go here for the first two on opening night, then simply click "Next" for the following six nights, ending with The Witch's Tale episode "Graveyard Mansion" on the 31st. For this year's series of Halloween OTR frights we won't be as prolific, but beginning this week we will showcase a special horror episode each weekend, culminating on Sunday, All Hallows Eve, October 31st. The first weekly dramatization in our run up to Halloween this year is Frankenstein. 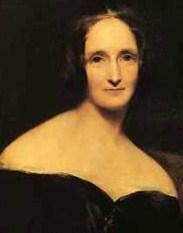 Written in 1818 by Mary Shelley (1797-1851; 1840 portrait upper right), the novel's full title is Frankenstein: or, Prometheus Unbound. 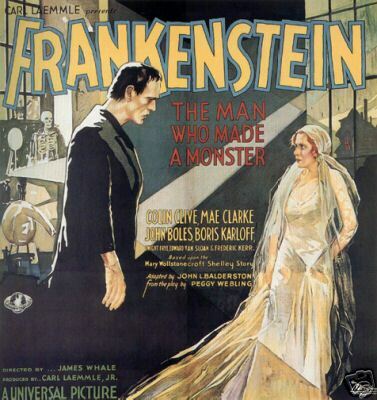 While countless hundreds of millions worldwide are familiar with its most famous and frightening film adaptation from 1931, directed by James Whale and starring Boris Karloff, not nearly as many have actually read the novel, and an even more miniscule number have heard the following radio adaptation (one of several). Thus, while the general story is a familiar one (for those who have watched only the classic film) we thought for those who have read both the book and seen the movie, they could complete the media triad (book, film, and radio) by listening to this obviously much abridged--and relatively rare--radio version. It does not attempt, in its mere 27 minutes, to encompass the complexities of the novel--or the movie--but narrows its dramatic focus nevertheless on one of the central sub-plots of the story--the monster's motive for revenge. Favorite Story ran from 1946-1949, and was rather unique in that it asked famous personalities--be they movie directors, actors, novelists, playwrights, or other famous personalities in one way or the other in the public eye at the time--to recommend their favorite stories for dramatization. One of several we've showcased in the past was Jules Verne's 20,000 Leagues Under the Sea, which was the favorite of Orson Welles. The stories were all over the literary map. 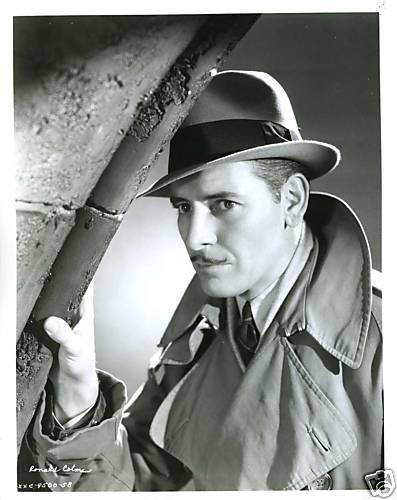 The series host was the suave, renowned British screen actor of the 1930s, Ronald Coleman. 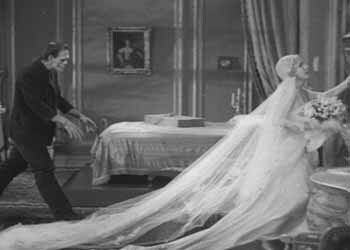 Frankenstein was recommended by the extremely popular radio personality--and close friend of Jack Benny (1894-1974)--Fred Allen (1894-1956). 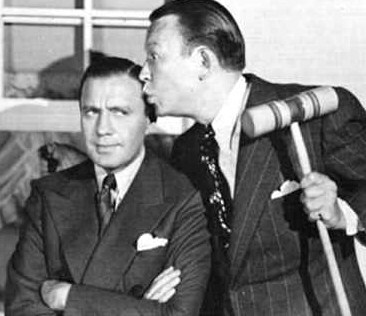 Allen hosted his own comedy show (1932-1949) and was constantly at friendly odds with Benny in a "mock feud" for many years, as Coleman references in his introduction. Allen was, during the almost twenty years of his radio show and even thereafter, America's most beloved radio comedian (hence the mock-feud with Benny, who would eventually eclipse Allen in popularity via his immensely popular tv show in the early 50s, prior to Allen's early death). Like Alfred Hitchcock with his later television show, Allen was often at odds with the censors and was often threatened with, or actually censored. Ya gotta love it. We hope you enjoy--along with your highly impressionable rug rats (prone to nightmares)--the story of a monster made from sewn together parts of several human corpses--a monster eight feet tall and with a deadly grudge he is willing to carry out at all costs--and who disappears into the wilderness...still lurking, still waiting...to kill. Even children. Favorite Story aired "Frankenstein" on December 13, 1947, almost 63 years ago.